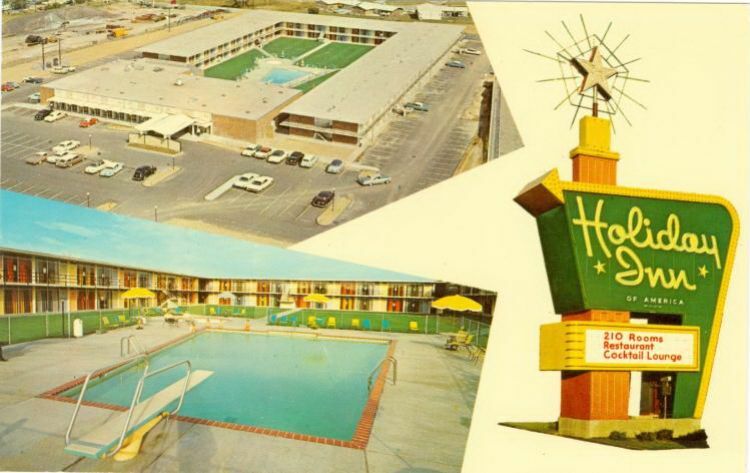 The Holiday Inn South opened in May 1960 at 3660 South Lindbergh. From the back of the card: "Intersection 66, 61,50 and By-pass 67 & 50". It was actually south of Watson and not technically on 66. It is now the Days Inn.